There we are again: last Friday of the month = CRITICAL MASS Friday!! And today’s mass seems like it will be blessed with some daylight, a first for this year!! So, if you haven’t been cycling for a while due to the weather, today is the day to get back on it and have some fun at the same time!! Looking forward to a sunny ride!! Bring your most colourful clothes and let’s fill the streets with some good vibes! 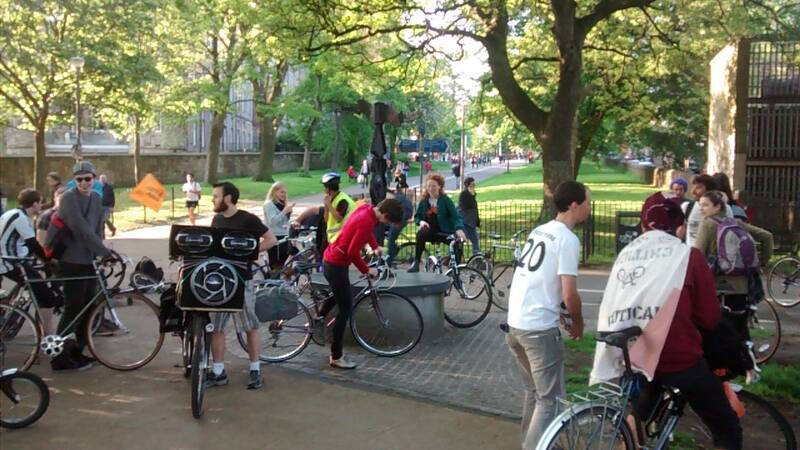 Meeting is on the Mound, in front of the Scottish National Gallery at 5.30pm, ride starts at 6pm …buuuut don’t worry if you can’t make it that early, we have a 2nd meeting point at the intersection in the Meadows between Middle Meadow walk and N Meadow walk at 7pm. There is also an app you can use to find us in one click via your smartphone. -Feel free to share the event with your friends! Looking forward to seeing you all, have a lovely day!! 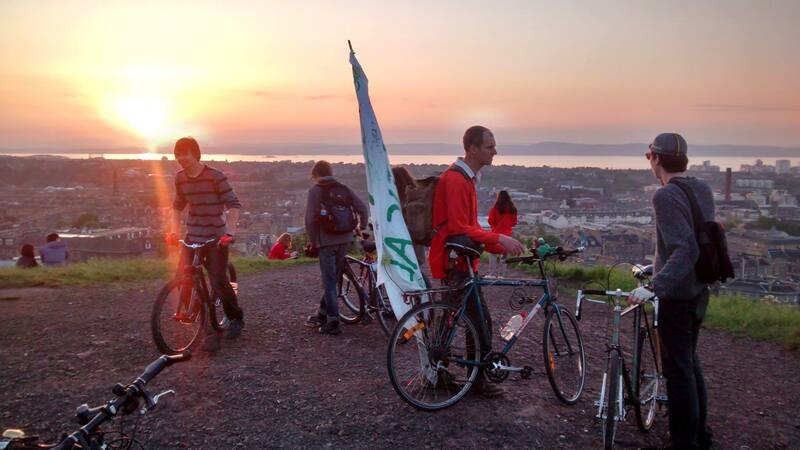 This entry was posted in News and tagged Critical Mass, Cycle Safety, Cycling, Cycling in Edinburgh, Edinburgh, Group Rides, Leisure Cycling, March, Spring. Bookmark the permalink.